A woman is hired by a gentleman to be his housekeeper, but she is continually followed to work by a lone cyclist. Adding to her troubles is that her boss's friend is a jerk with the hots for her. This story is long and has some problems with pacing. It is unbelievable that Sherlock Holmes has to point out that a marriage is not valid until both parties say 'I do." Sherlock Holmes must figure out why someone is smashing busts of Napoleon. This one is only this low because the crime seemed really obvious. A heartfelt, if disappointing tale, involving Sherlock clearing the suspicion around a very simple case. The best part of this story comes from the emotion written into the Ferguson family. An old man gets frightened by footprints. Okay, it ends up being much more complicated and perilous than that, but it didn't have a good hook or endearing characters. 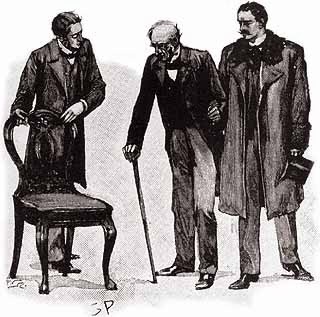 A young man consults Holmes about a job that seems too strange to be true. So convoluted that it becomes tedious and boring, this is perhaps the most average Sherlock Holmes story. 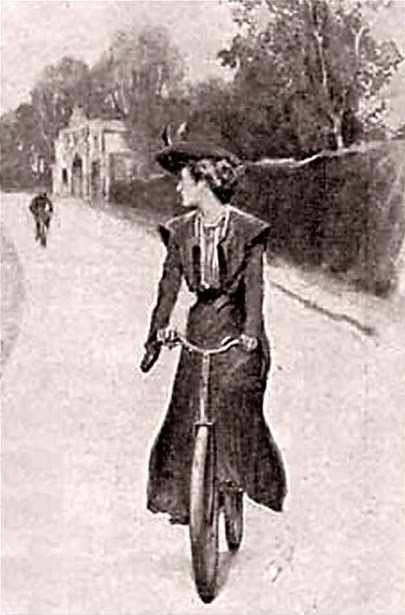 A lady has disappeared in France and Holmes has deduced that foul play is involved. This a rough Holmes story. Most of the elegant detection is throw out while Sherlock acts like a mad ruffian. While some cases call for this, Holmes could have used discretion to successfully solve the case. While Sherlock Holmes convalesces at a seaside resort, an event happens that appears supernatural in nature. A woman is killed and her two brothers are driven mad with little sign as to what or who could have killed them. There just wasn't much deduction in this story and the explanations for the deaths were really weak. The token "Sherlock Holmes is wrong"story from Memoirs. 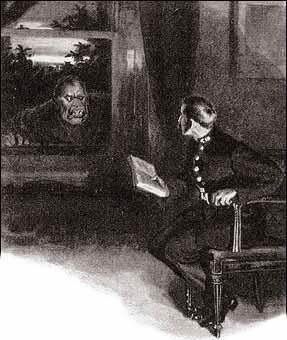 Sherlock Holmes is approached about a man whose wife is behaving strangely. The situation becomes conflated and it turns out to be more about lack of trust than anything sinister. This is a worse version of "The Dancing Men." A man goes to visit a friend for dinner and wakes up to find the house empty the next day. The first part is promising, but the second part is a big let down. The muddled facts and the puffed up villain make this case kind of a dud. Not even any really great deductive bits. Also, there is an unfortunate amount of racism in this tale. The 'Seven-Per-Cent Solution' Watson was right to name this one a forgery. It reads like a cobbled together “Blue Carbuncle” and “Dying Detective.” Another 'nefarious' villain who turns out to be even stupider than the one from “Wisteria Lodge.” This is rightfully seen as one of the worst stories. Why was this adventure written? 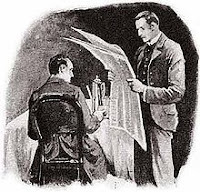 Sherlock Holmes has failed a case and has it told to him at a later date. 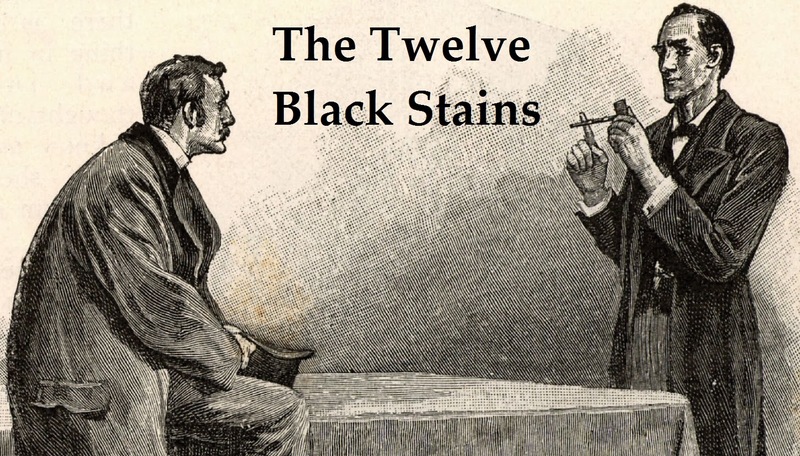 There are plenty of Sherlock Holmes fails stories, and this one adds nothing new. It isn't even interesting, just a boring account. 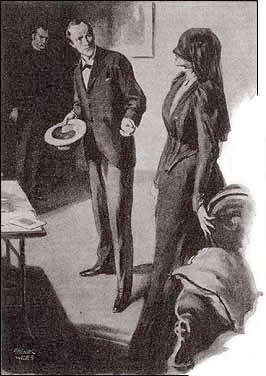 I suppose Doyle tries to drive some pathos for the Veiled Lodger, but it just comes off as baffling. There is a bit of Sherlockian persuasion at the end, but not enough to save this story. My version of Watson declares this one a forgery! I can do that, right? My least favorite tale is the most dissatisfying of the first set of Holmes stories. This is partially because as an American the mystery behind "KKK" is... thin at best. Plus the mystery is convoluted and the ending is dissatisfying. I can't believe this ever made it to one of Doyle's 'best of' lists. Next time: The stories whose only crimes are being average! As an American, I am quite familiar with the KKK and how it operates, seeing as it is among the blackest of stains on U.S. history. Given that the mystery revolves around not knowing about them, it just didn't work for me. Also, realism only goes so far, that's why so many biopics are dramatized. However; these are merely my opinions and I'm glad you enjoyed this tale. Trust me, if you're reading chronologically, the best lies ahead!